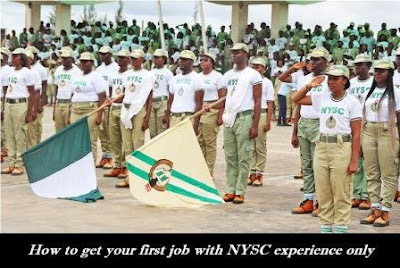 Getting a lucrative job or to be gainfully employed after National Youth Service Corps (NYSC) is one of the hurdles an average Nigerian graduate passes through in order to be relevant or be seen as responsible in a contemporary Nigeria. All of these don’t come in handy as the level or state of education in Nigeria is not worthy of emulation and doesn’t seem to prepare her graduates for the tedious exercise ahead of them. Such is the case of a graduate of accountancy who couldn’t use Microsoft Excel for simple analysis or a geoscience graduate who is not familiar with ArcGIS. Similarly, you tend to see a graduate of architecture who says all he did in school was to draw structures manually and never set his eyes on AutoCad or other relevant software to their discipline. This might not solely be the fault of such a poor graduate who couldn’t afford to go to an international and reputable school where he would be sure of getting a valuable return of his money. Ceteris Paribus (All things being equal), how an average Nigerian graduate can get something worthwhile doing immediately after National Youth Service Corps (NYSC) is the target of this article. I discovered that the experience after NYSC no matter the years were just a number; permit me to say, out of these applicants, the one with just 1 year of experience had better exposition, was sound and most suitable for the job just because he had worked with a reputable company that trained him with different simulations and real experience and not just those that paid him for his presence or for experience sake without any correlation with his discipline. If someone speaks based on what he learnt in school or at his job, experience or exposure, it is quite easy to delineate which is which. Overlook the figures of the unemployment rate which is as high as 25% according to the recent data; without connection or godfather, you can actually get your dream job. Holistically, employment rate in Nigeria is still palatable; however, the competition among the applicants is low. You need to be sound, I mean, you should know the in Toto of your discipline, and you must be pragmatic and have the basics of your profession in your palms. Job applicants out there are merely jokers who hardly understand the basics of their course probably because they were misled to study that course or the school gave them a different course to what they applied for; this has particularly made many graduates unprepared for this jet-age. Don’t be surprised when you see graduates that can’t find their way round a computer, how would such a person be able to catch up when they get to the field of play. You might be at an interview and see graduates with Harvard, Stanford, MIT and the Ivy League school degrees, don’t be intimidated with your Nigerian or HND degree, you all came to showcase what you can offer. Don’t be surprised some of these certificates are forged or some of them can’t even defend those degrees. You have to be realistic, hungry, ambitious and ravenous for knowledge. Your aspiration to get a dream job can be achieved if only you believed in yourself and distinguished yourself. In Nigerian Universities, there are the academic degrees and the professional degrees. It is quite easy for an academic degree like chemistry, physics to adjust and adapt to a teaching opportunity, however, research has shown that graduates of professional degrees like Civil Engineering, Mechanical Engineering, Marine Science, Meteorology, Geology, Accounting, and the likes don’t feel fulfilled and happy in a teaching environment except they have interest in such. Therefore, being a graduate of professional degrees like this requires you to go for certification before going for MBA or MSC. This emanated from an interview for a finance role I had with some applicants, I discovered that those that were yet to be chartered accountants but had ICAN training and had just passed some of their examinations spoke and behaved like professionals. They were able to give reasonable assumptions to some practical questions. During your Industrial Training (IT) or internships and NYSC, don’t look out for how much you would be paid, rather, be more concerned about the knowledge, exposure and experience. Many applicants have job experience without work experience; they actually have nothing to offer from their so called ‘work experience’. By so doing, hustle tight for the work experience and exposure during your internship and NYSC days, the money you seek will then come when you are matured enough to handle it. Similarly, use most of your time to learn soft skills, ignore all the Snapchat, Whatsapp, Facebook except for official, business or professional purposes. Without regard to the course you studied, learn the use of Microsoft Suite (Word, PowerPoint and Excel). It is not necessary you become an expert, just have knowledge of those things and know how to manipulate your way through them for basic analysis. And for the business analysts, accountants, go deeper in excel, even beyond the Pivot table. Finally, as an applicant, know how to take charge of the interview session, don’t be intimidated or tensed. Be free though professionally; see your interviewers as colleagues and not as ‘gods’. Also be lively. Despite me being an introvert, I actually flow during interviews; one I can categorically remember was me crying after the panel of interviewers told me I was the best among the applicants they interviewed and I am overqualified for the job (I gave the reaction that abeg forget the English, who over qualification help, please give me my dream job) and they referred me to another company which I didn’t follow up. Always remember, the stage belongs to you and not the interviewers, you are not there for an audition, you are not an entertainer, you are just a fellow whose blood is burning for success and wants to achieve that big and daunting dream. Go out there and land the dream job. Written by Ayobami Akinade AAT, ACA, ACCA (A) (www.linkedin.com/in/ayobamiakinade/) and edited by Adebiyi Abiola Abraham (Able Lincoln). Please remember to share with your friends, it may come in handy for someone who urgently needs it. Also remember to drop a comment and advise the next reader.